At The Stop Smoking For Good Company, we specialize in providing free or affordable-to-all, proven help to stop smoking. From our All-Free Stop Smoking Help Mega-List to our Smoke-Free Key Stop Smoking Program, we provide only the absolute finest, quickly-accessed stop smoking help available. And never with a big pricetag. 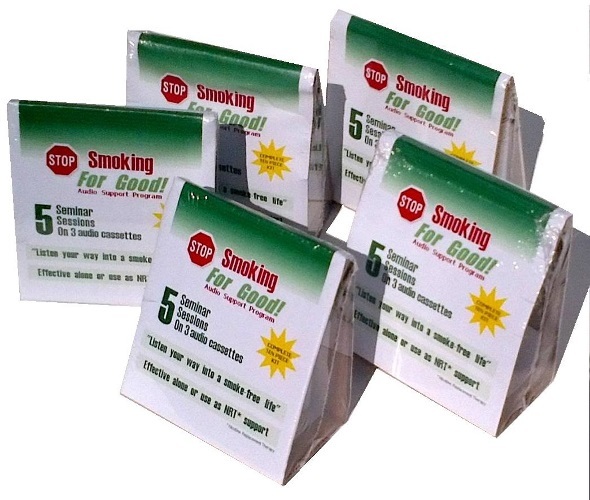 We've produced affordable stop smoking programs designed specifically for mass distribution, since 2003. That's when we launched this website and introduced our Stop Smoking For Good 10-piece Audio Cassette Retail Packs. Science-based, doctor-tested, proven, full-length, structured and affordable at just $39.95 retail. "How to Stop Smoking For Good in 5 Days"
Following the warm reception of our cassette program, after extensive program updates, we published a paperback version of our complete program. Entitled, "How to Stop Smoking For Good in 5 Days" the 160-page book remains a popular choice and is still in print today. It's available in major bookstores & libraries throughout North America and U.K. - or worldwide, through Amazon. 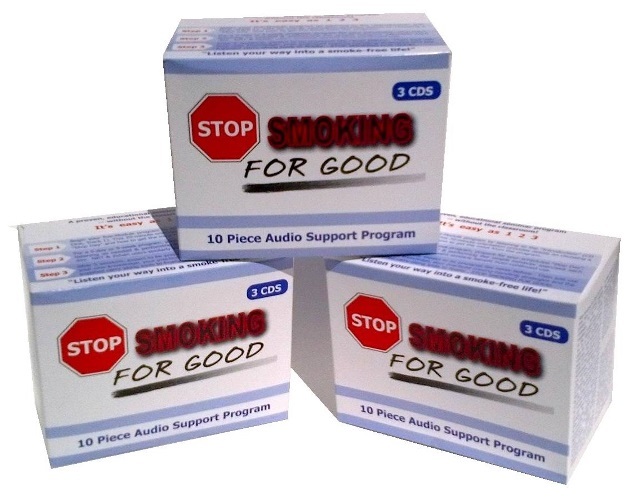 Success breeds success and so following our paperback program we introduced our Stop Smoking For Good 10-piece Audio CD Retail Packs. Extensive updates guaranteed we maintained our status as the world's most complete, affordable digital program... again at just $39.95 retail. Nothing's changed: Full-length stop smoking classroom programs still claim the #1 success rate of all proven cessation methods. Our 2019 Smoke-Free Key Program© replaces the classroom with your favorite device! The "Key's" been freshly updated and is guaranteed to be the most advanced, science-based, digital stop smoking program on the market. If you have a device, we have your program. eBook files include .epub, .mobi, .pdf, .doc & .txt. libraries. AudioBook files include .m4b & .mp3. libraries. Access is instant. Integral to "The Key" program is our "1st-Response-to-Craving©" offline-only mobile app. Tap it every time cravings strike. Keep track of what's triggering your light-ups while practising new ways to effectively change old habits. Links to the app are here. You can also take advantage of the power provided by a long list of other proven methods and techniques to ease the transition and greatly improve your chances for long-term successful cessation. And now at just $11, everyone can afford to use an intensive stop smoking program. With files for all popular devices, this comprehensive, proprietary, science-based program meets and/or exceeds all leading world health authorities guidelines for classroom smoking cessation programs. Get complete "Key" program's details, here. The Smoke-Free Key on USB©  The first new, legitimate, tangible, smoking cessation product to be introduced to the medical and retail markets in several years. "The Key on USB" features our complete Smoke-Free Key Program©  both eBook and AudioBook  on a high-quality, stainless steel, 2gb USB "Key". 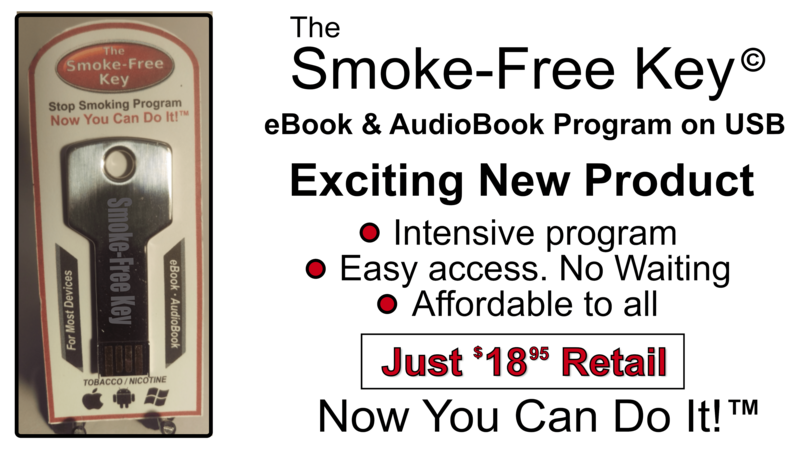 With files for all devices and with an expected retail of $18.95, "The Key on USB" presents an intensive smoking cessation program in an exciting, affordable, all-new physical product.